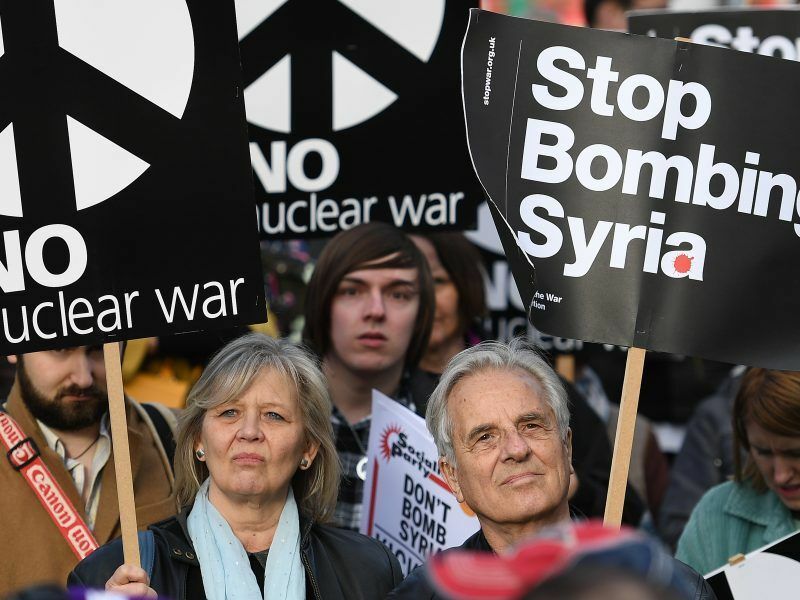 The joint strikes in Syria launched by France, the UK and the US seem to have a symbolic rather than military purpose, writes Nicolas Gros-Verheyde. Nicolas Gros-Verheyde is a Brussels-based French journalist, specialised in EU affairs, defence and foreign policy. He is the publisher of the website Bruxelles2Pro, a must-read for nerds in EU defence policy. The joint military strikes by the three allies are the first since the beginning of the war in Syria, which has lasted seven years. A similar mission had been abandoned by France in 2013 for lack of support from Britain and the United States. In April 2017, the United States intervened alone. This time, the strike has above all a symbolic significance as a political warning. It was not strong enough to be dissuasive to the Syrian regime, or intense enough to destroy all of its capacities. It was a “limited” and “proportionate” strike, as stated by the coalition of the three countries. However, with hundreds of missiles fired, it was sufficient and strong enough to be of significance. The strike was also supported by a number of European countries as well as most countries in the region that are directly or indirectly involved in the conflict, from Turkey to Israel, Saudi Arabia and Qatar. British Prime Minister Theresa May, facing a rowdy session of parliament on Monday (16 April), defended her decision to join US-led missile strikes against Syria without first seeking parliament’s authorisation. By way of this operation, the allies are also trying to regain a foothold in a conflict that has largely eluded them to date. They are not involved on the military or the diplomatic side. On the ground, their military commitment is limited to fighting Daesh. And the allies have no intention of committing themselves further. On the diplomatic side, all initiatives have been blocked by Russia. Carrying out a strike is a way of opposing Assad and showing him that the “red lines” drawn have real value. It is also a message to those who support him, notably the Russians and the Iranians. It means getting out of the trap set by Moscow and showing Russia that if its diplomacy continues to block all negotiation points the West will not hesitate in using other means to circumvent the Russian blockade. The message was well heeded in the Kremlin, which reacted with moderation. But, the Russians still have to agree to a new mission of investigation. From a technical standpoint, it was a military success. The strikes were expertly carried out, both by air and by sea, and allowed the testing of new weapons without any losses on the allied side or the Syrian side (no loss reported by the Syrian regime). Indeed, some missiles did not work as planned, on the French side, there were two failures with the new naval cruise MdCN missile from MBDA, which saw its first operational use. However, this had little to no impact on the strike with hundreds of missiles aimed at three targets. Assuming that all targets have been destroyed – as stated by the allies – and that the equipment indicated was still present on site, the actual effect of the strike must be put into perspective. Introducing a commonly used chlorine weapon is relatively easy, however, sarin gas is more complex as it requires the ability to obtain certain products and other techniques for conservation, but it is within reach of a regime such as the Syrian one. If there has been any deterioration, it would be only temporary, the time it takes to replenish stocks. 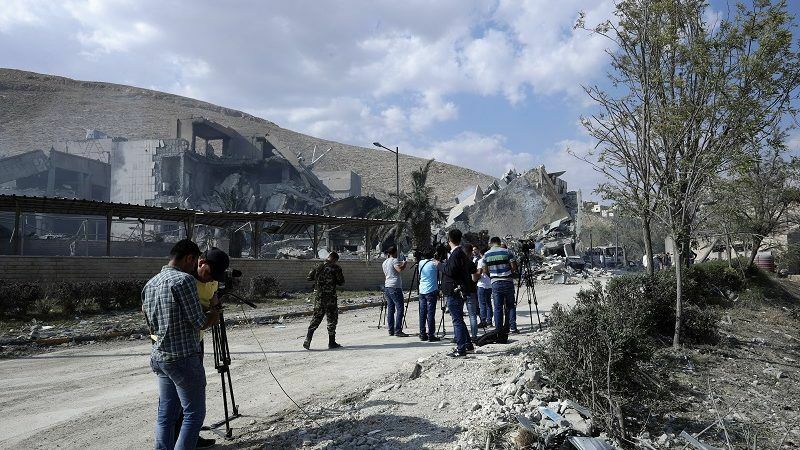 Russian authorities were informed of the exact content of the strikes, or at least of their existence, their intensity and the moment they would take place. Russia did not want to intervene, for both military and geopolitical reasons. From a military point of view, it was about not exposing its anti-missile shield to the possibility of failure, in order to maintain its dissuasion effect. Finally, this was a way for Russia to remind Syria that without its protection it is vulnerable. 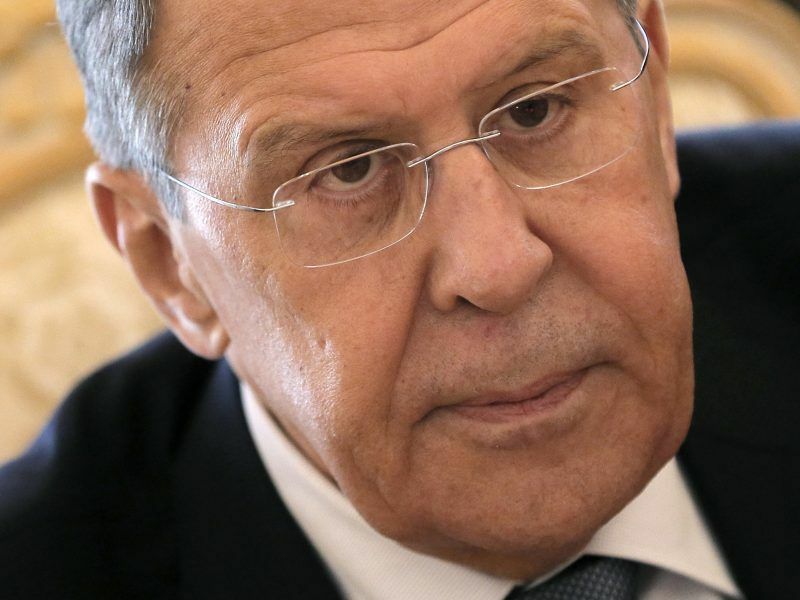 US military strikes on Syria last week removed any moral obligation Russia had to withhold S-300 anti-aircraft missile systems from its ally Syrian President Bashar al-Assad, Russian Foreign Minister Sergei Lavrov said today (20 April) , according to RIA state news agency.